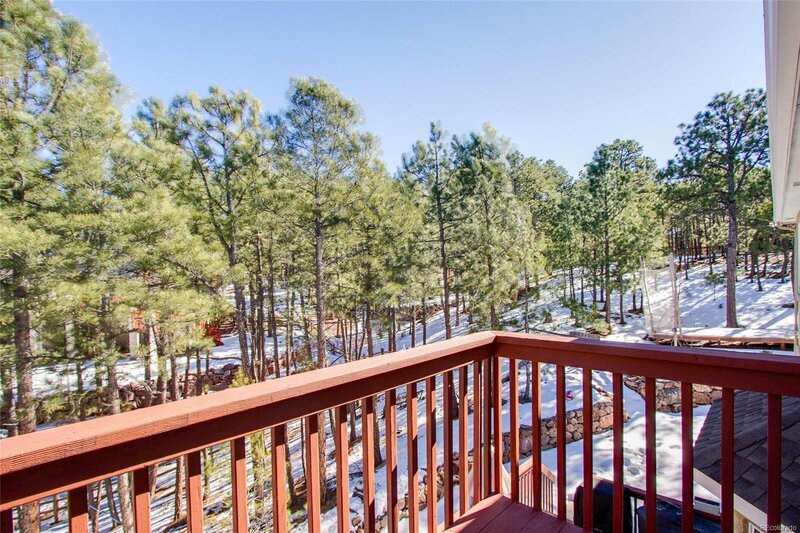 TREES, VIEWS OF PIKES PEAK, COMMUTE TO DENVER TECH CENTER. 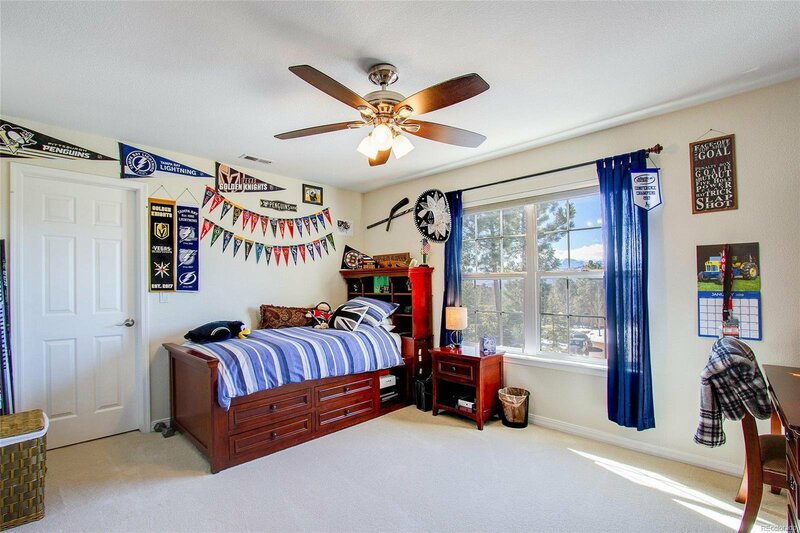 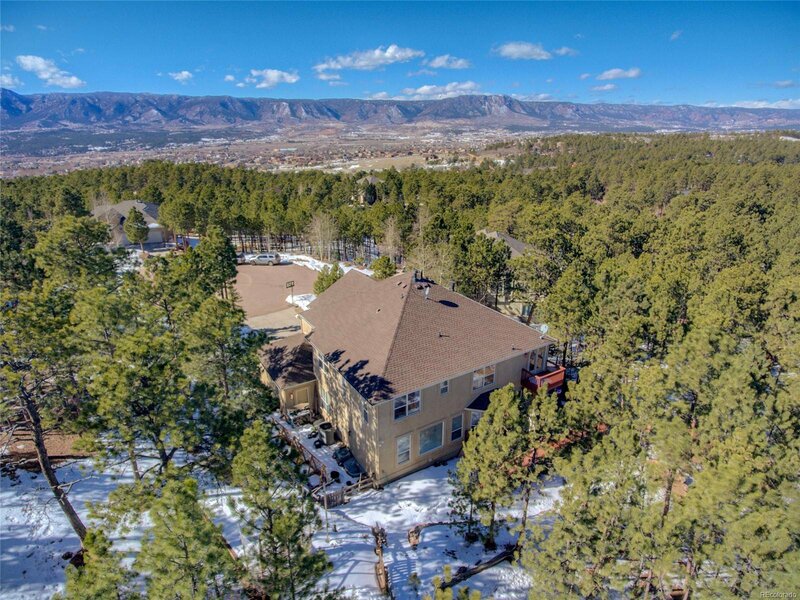 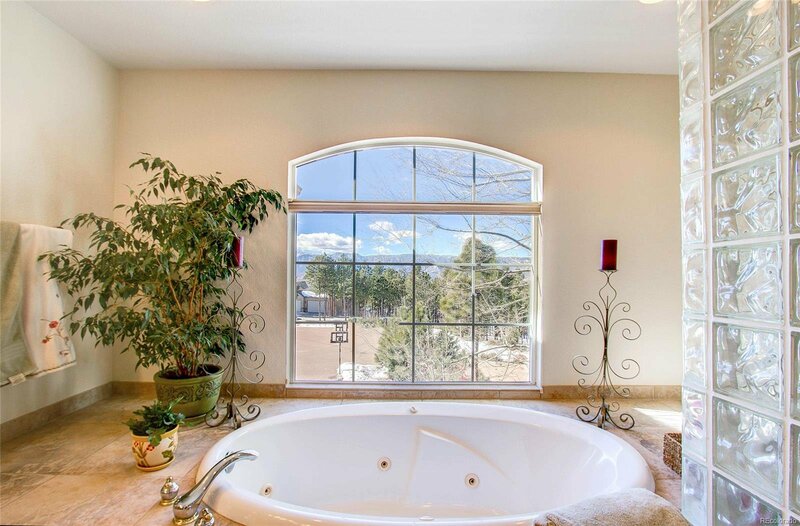 6 bedroom, 5 bathroom home with 4 fireplaces set on a treed large lot in a cul-de-sac with views of Pikes Peak & Front Range. 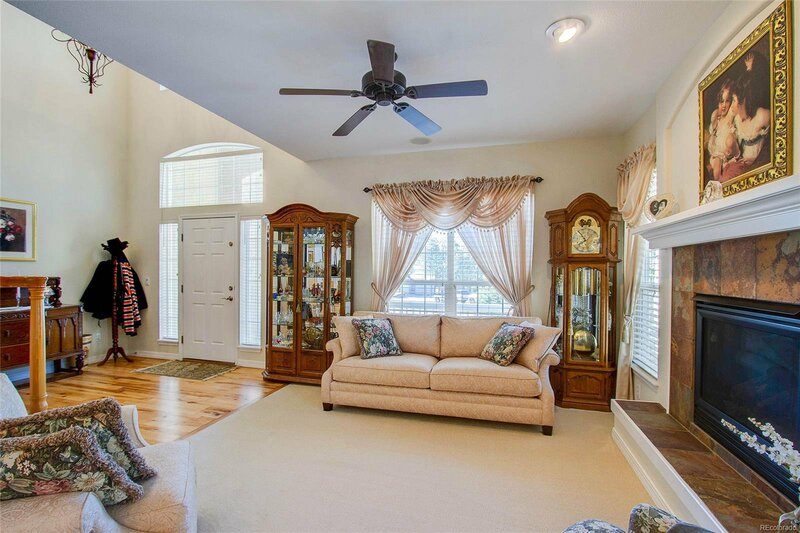 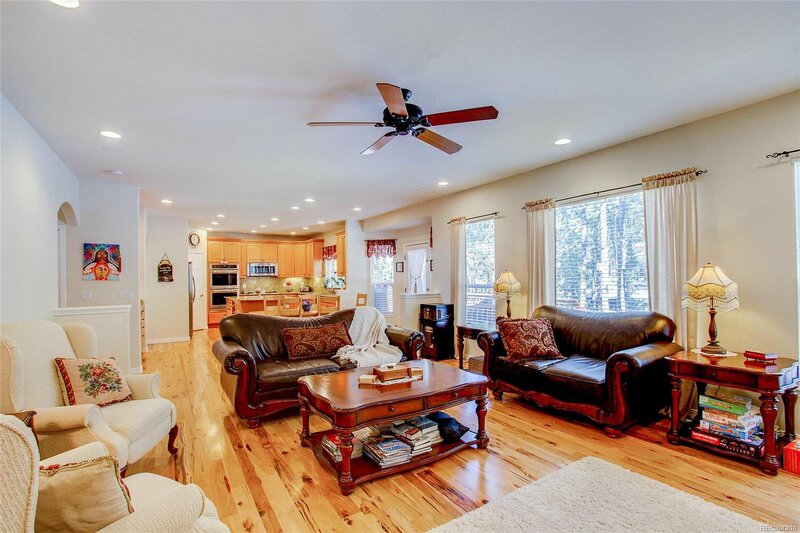 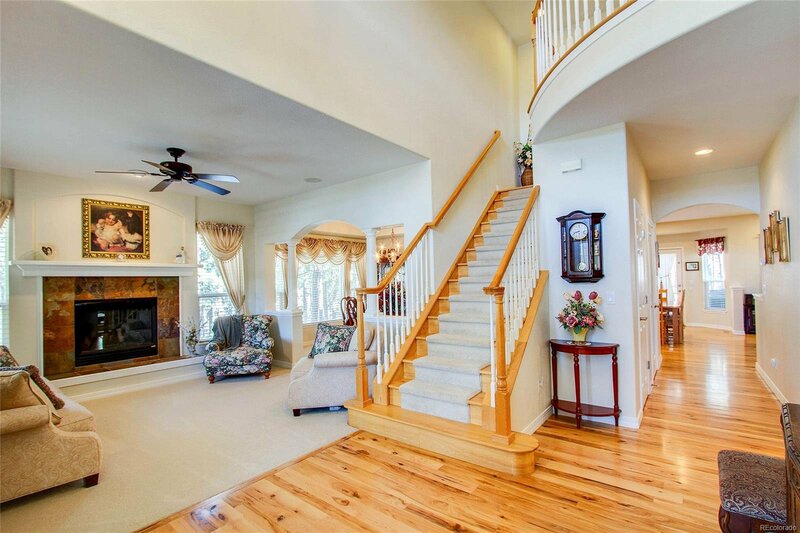 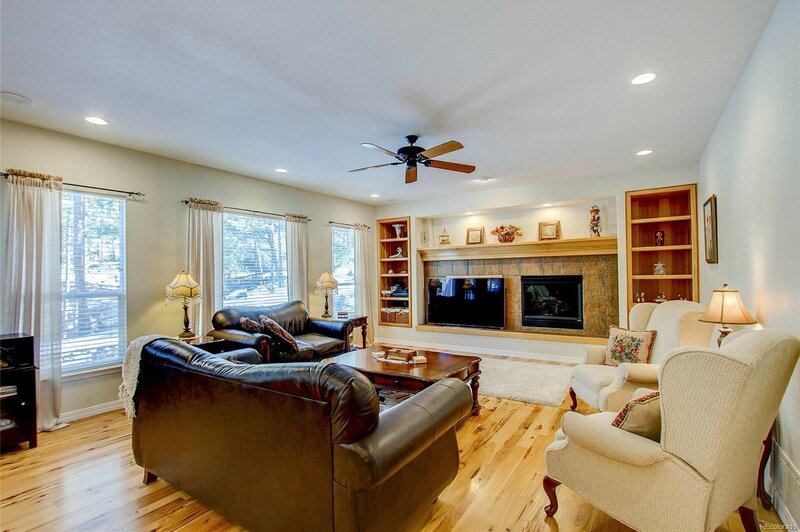 Inside you are greeted with hickory hardwood floors and tall ceilings. 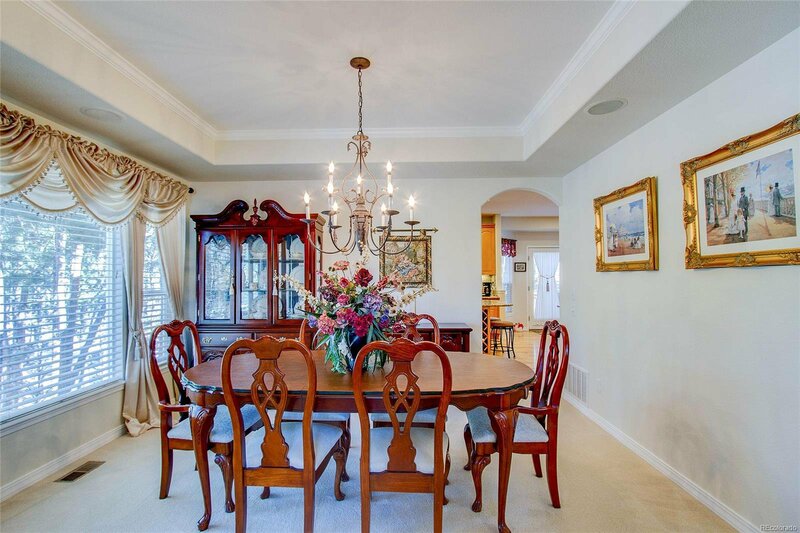 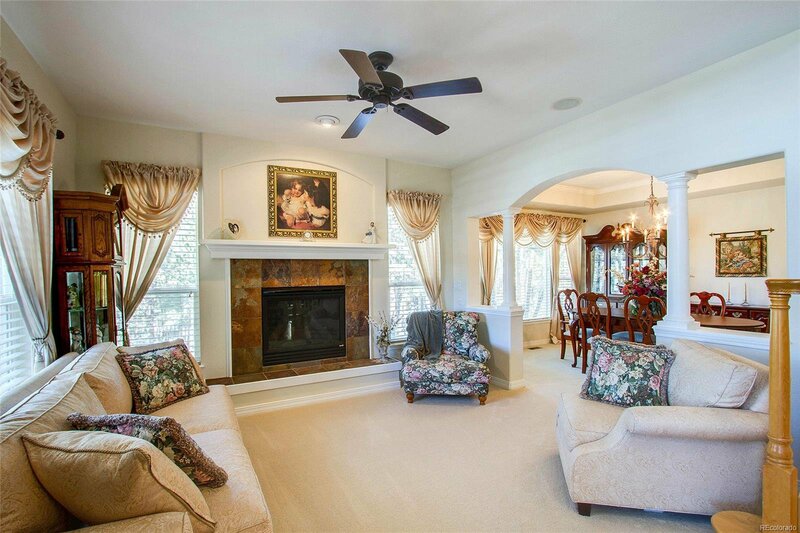 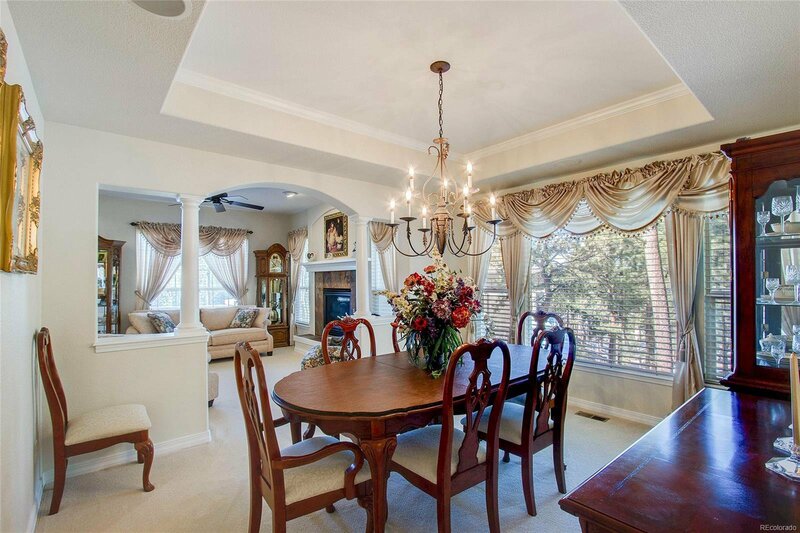 Formal living and dining rooms. 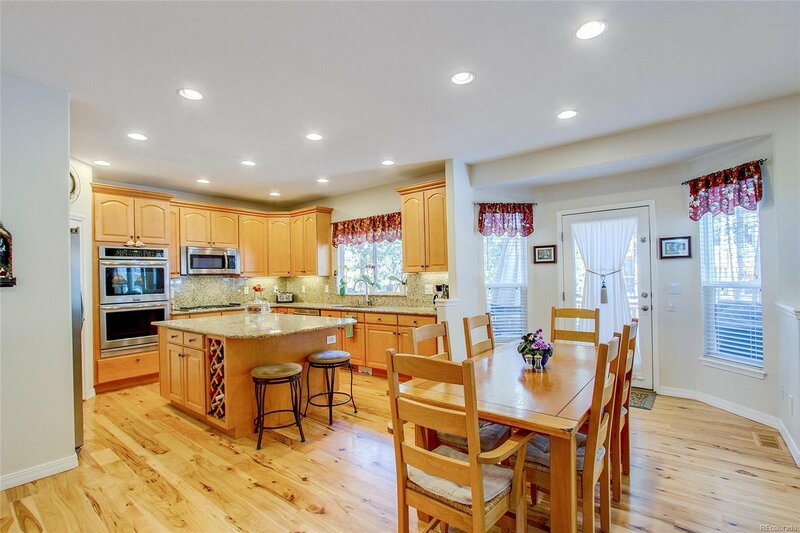 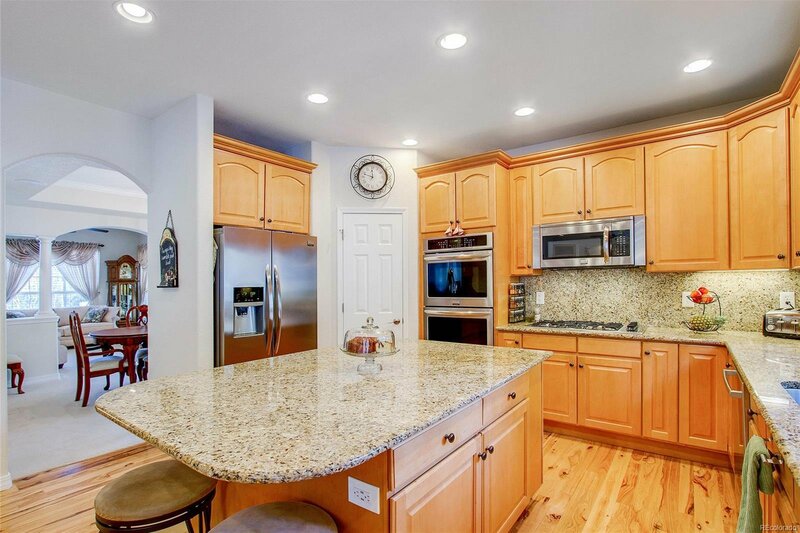 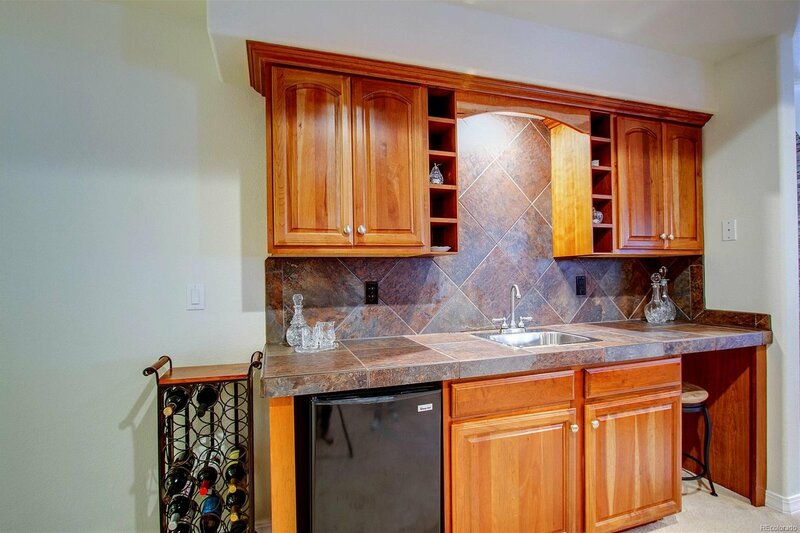 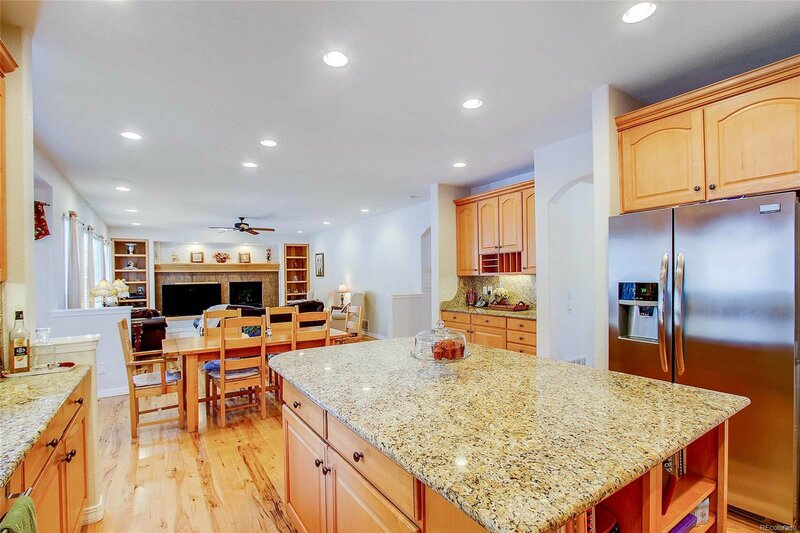 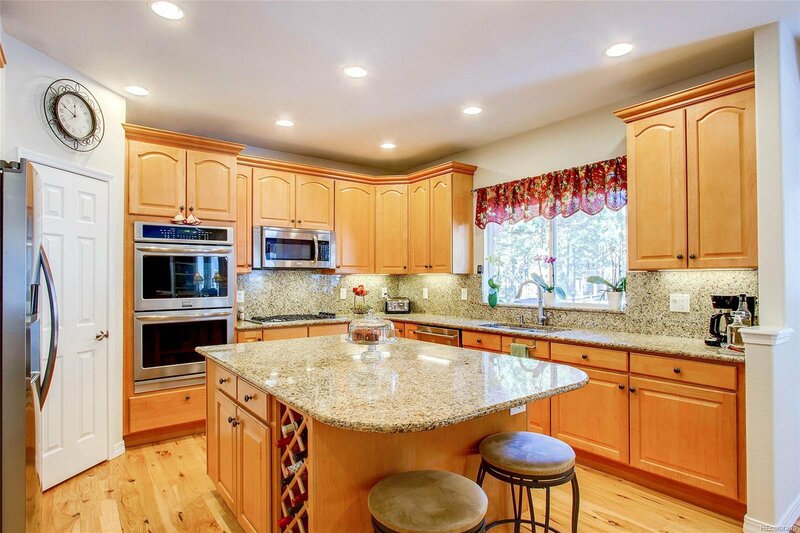 Large gourmet kitchen with double ovens, island, granite counters, and tons of storage with lots of cabinets and a pantry. 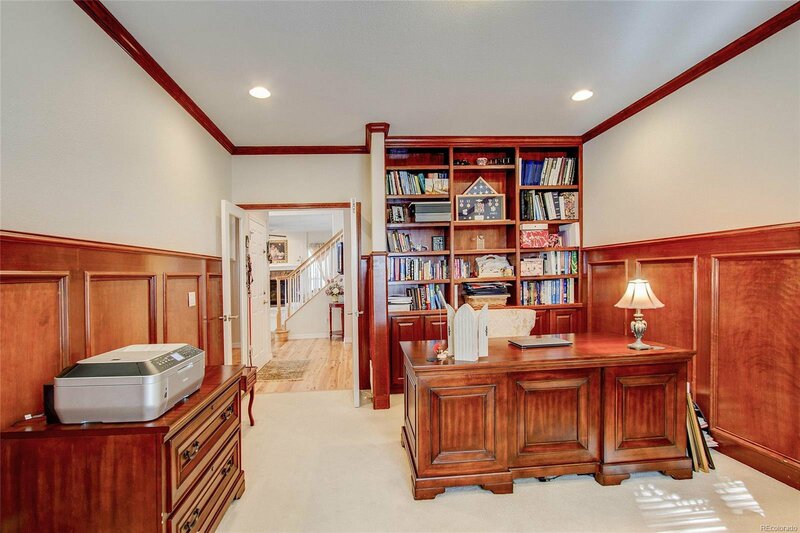 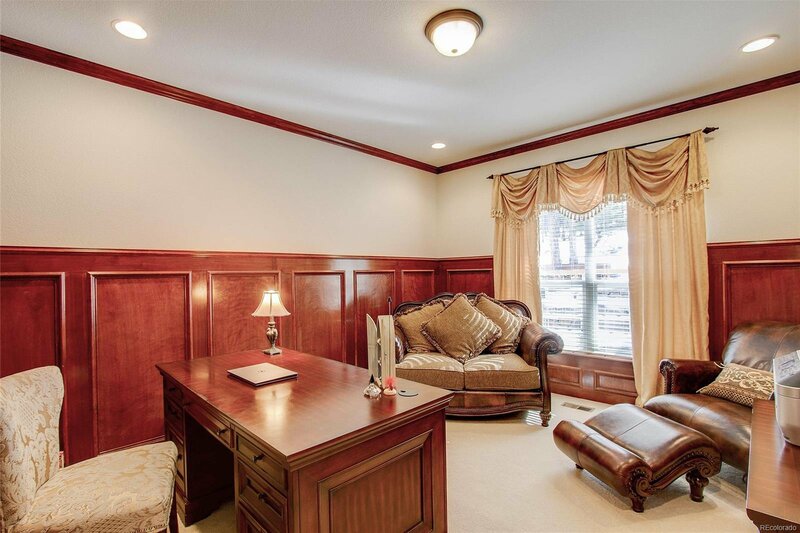 Main level study with w/ custom cherry paneling and built in bookcases. 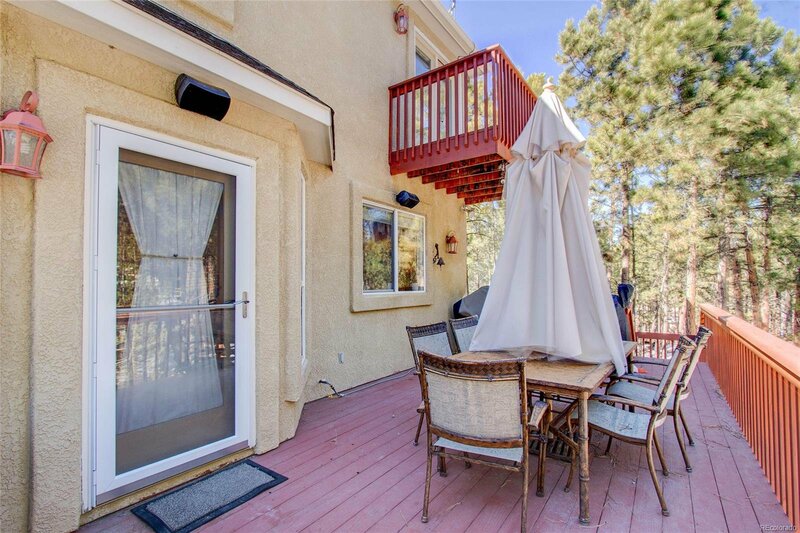 Large deck with gas line. 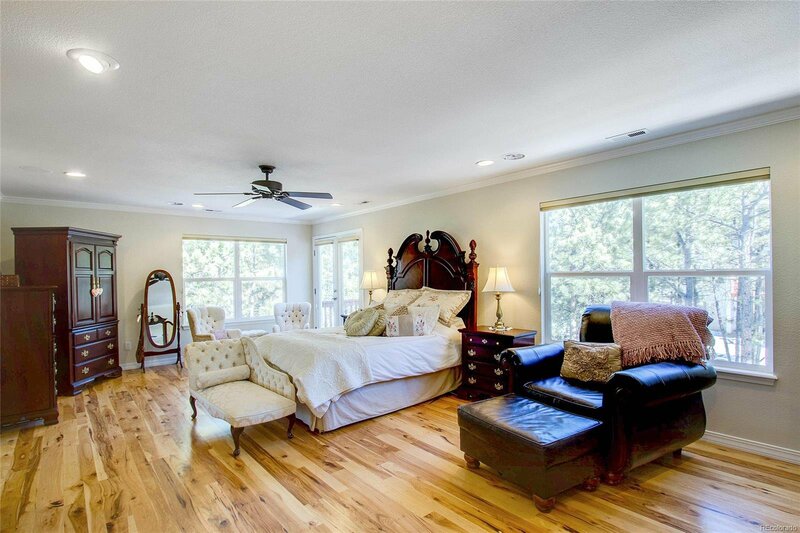 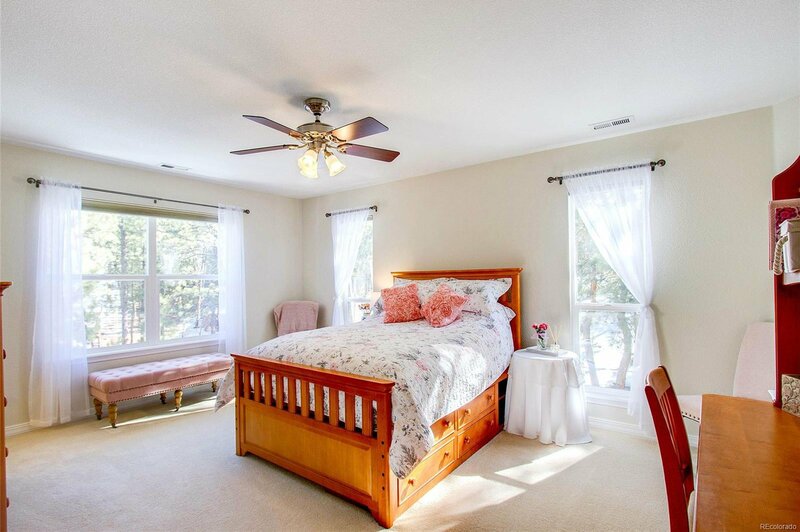 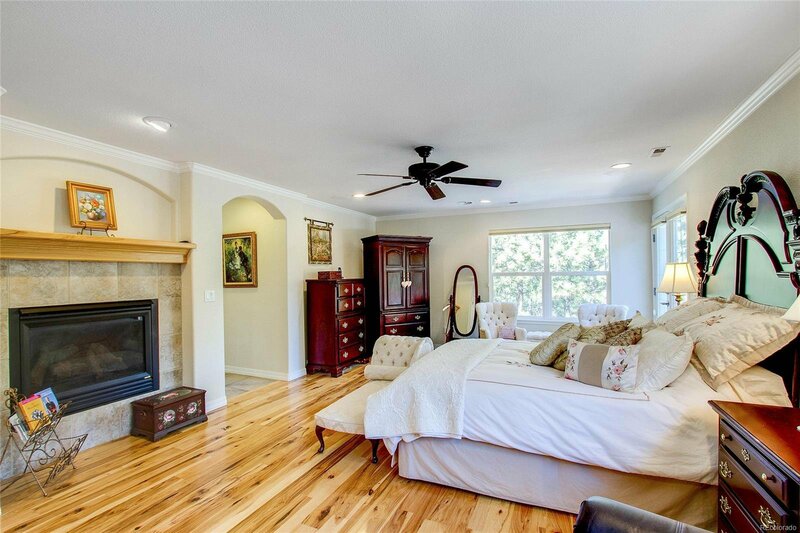 Large Master bedroom retreat features a fireplace, walk out to a private balcony, and a stunning oversized 5 piece bathroom. 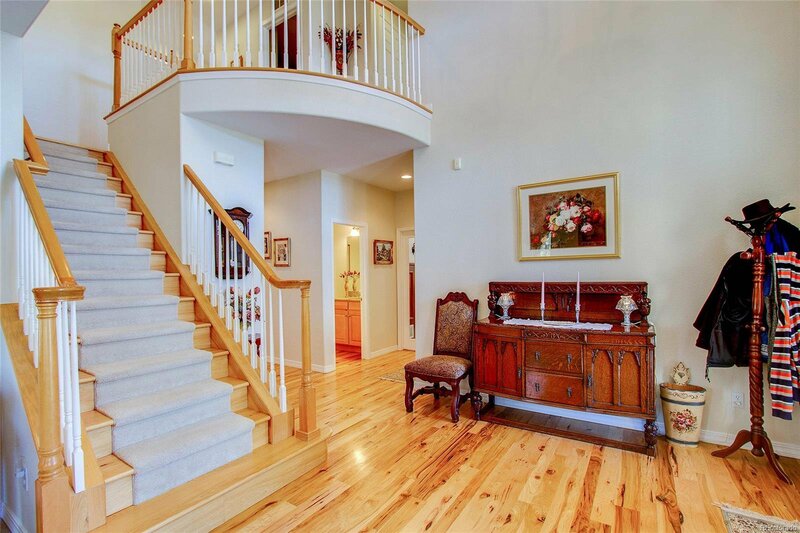 Hickory floors upstairs. 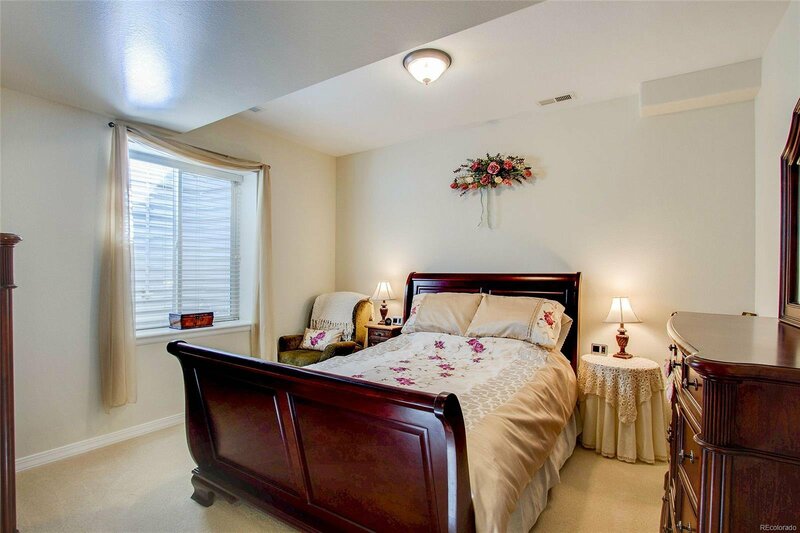 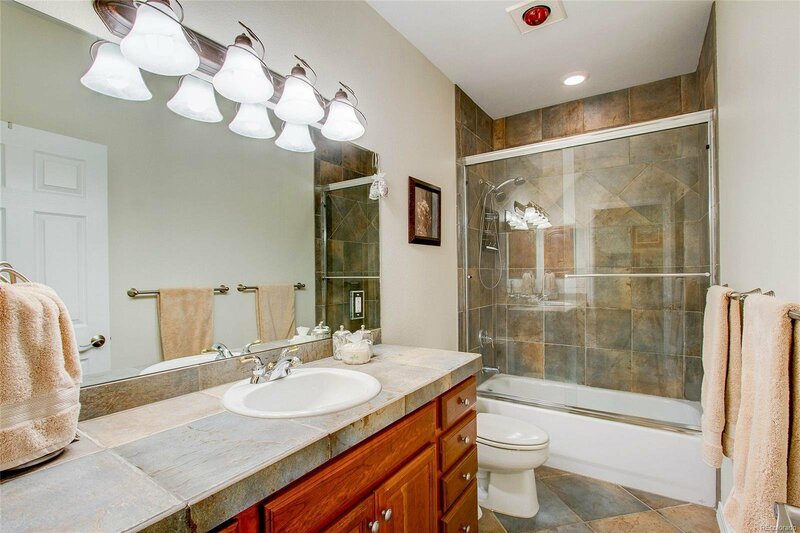 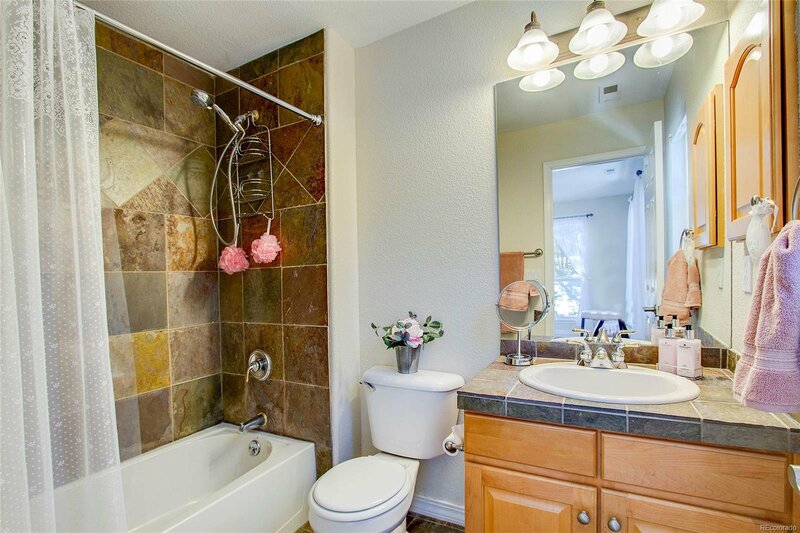 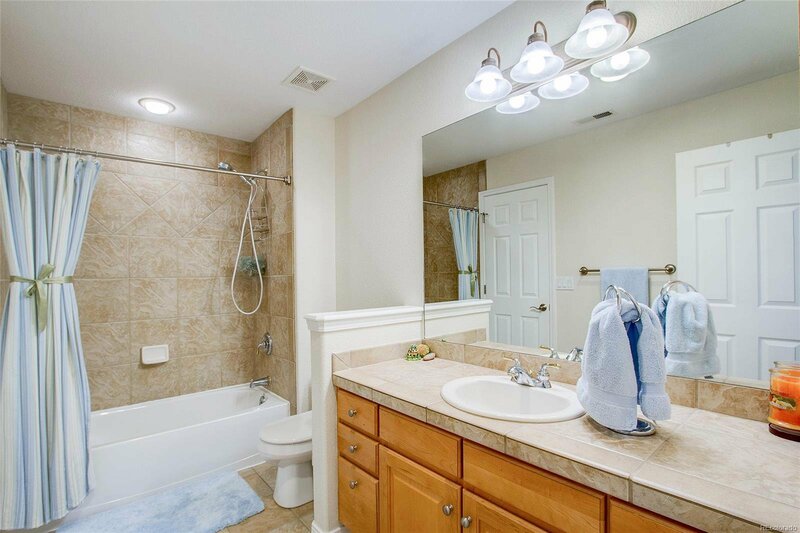 All bedrooms throughout have walk in closets. 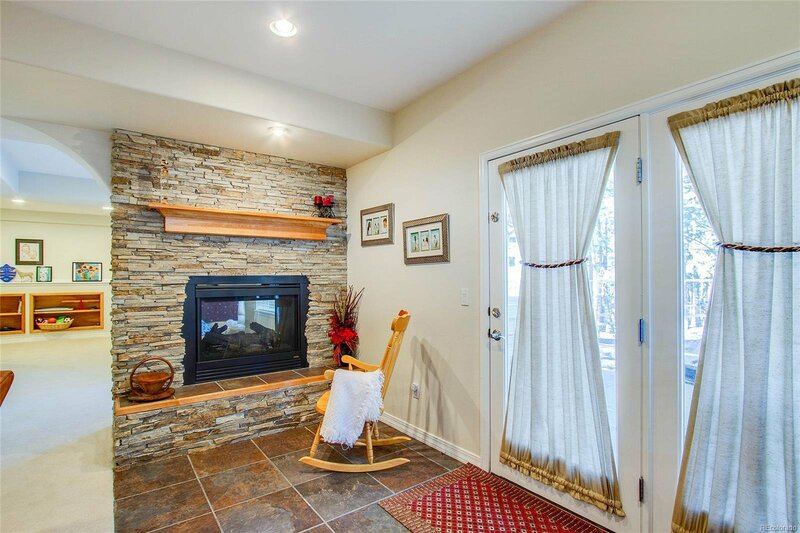 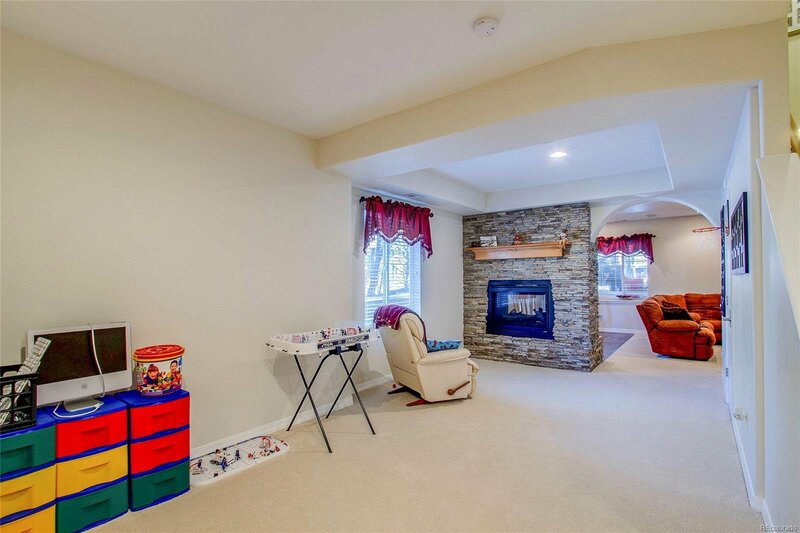 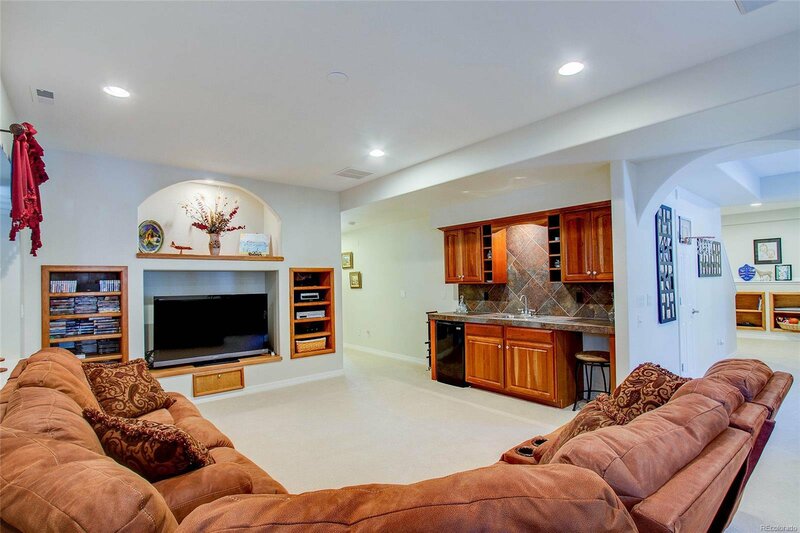 Downstairs enjoy a large rec room with a double sided stone fireplace, wet bar, lots of flexible living space and a walk out to a private side patio with hot tub. 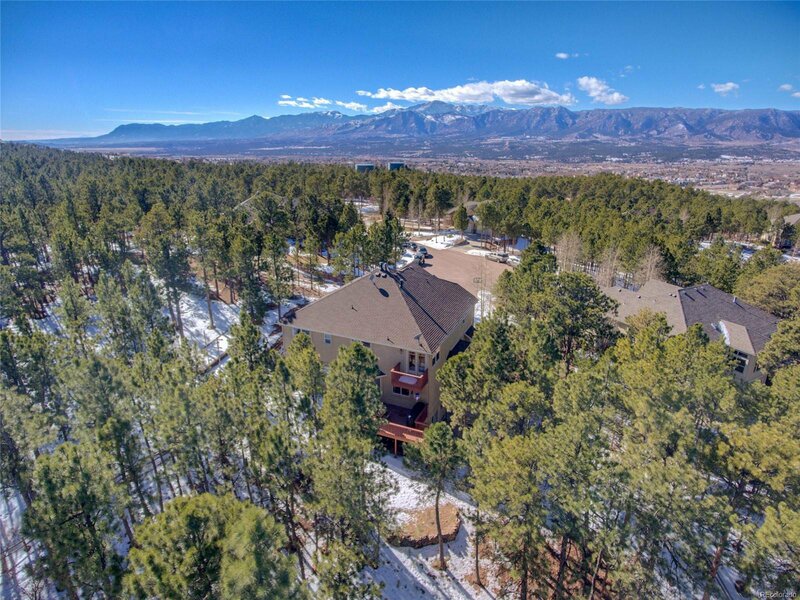 Fenced yard with dog run. 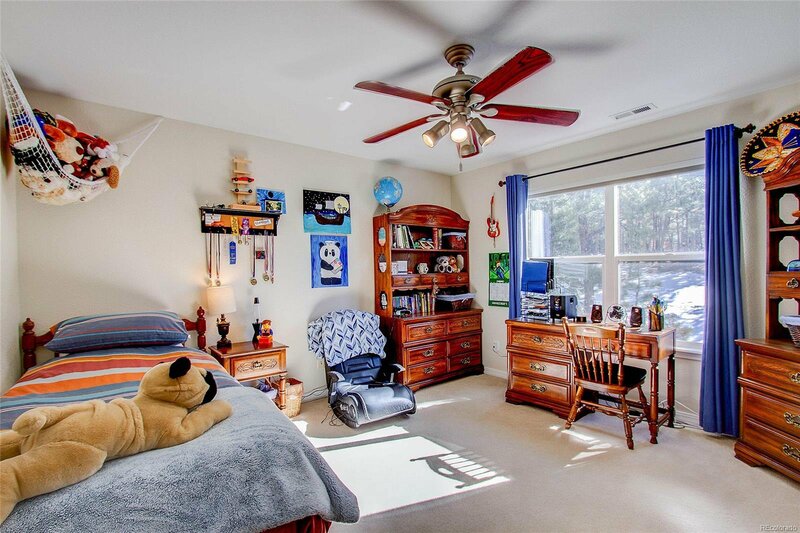 Storage room, 2 water heaters, 2 furnaces with A/C. 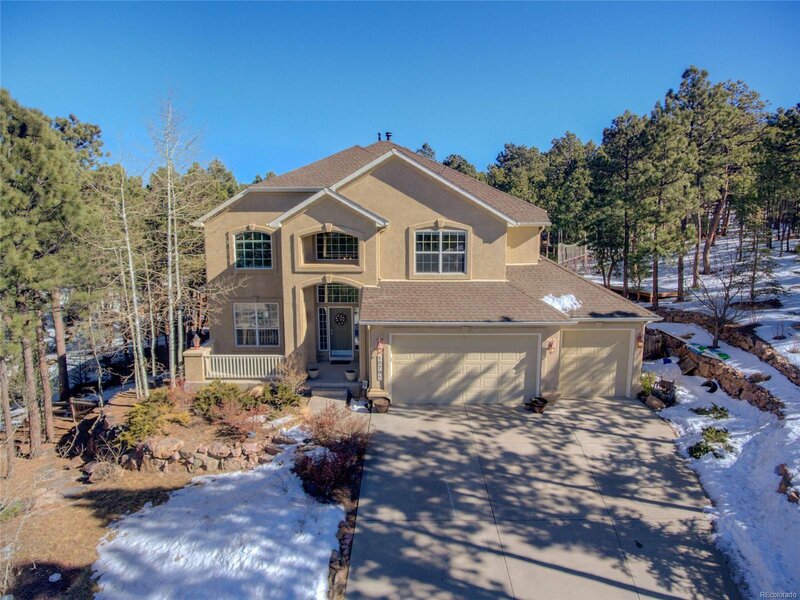 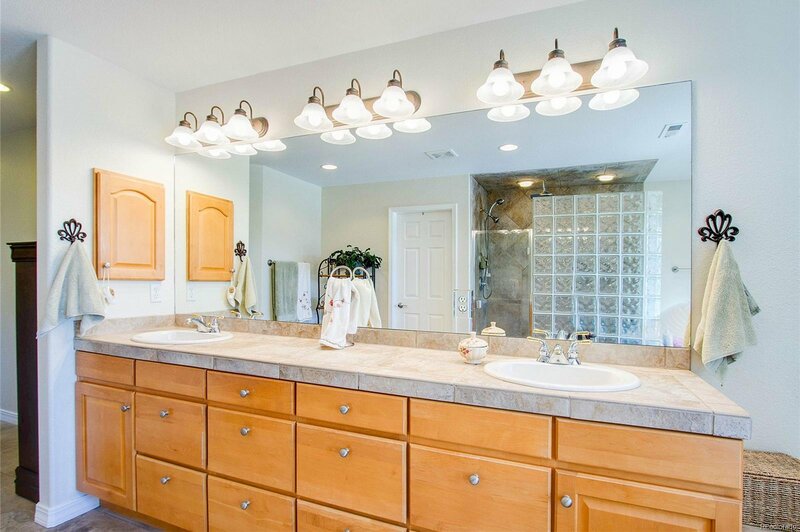 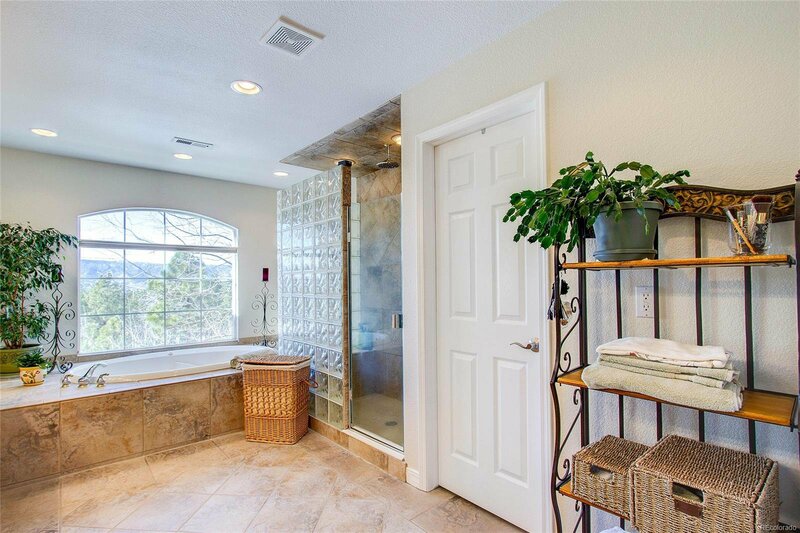 This home has too many upgrades to mention.